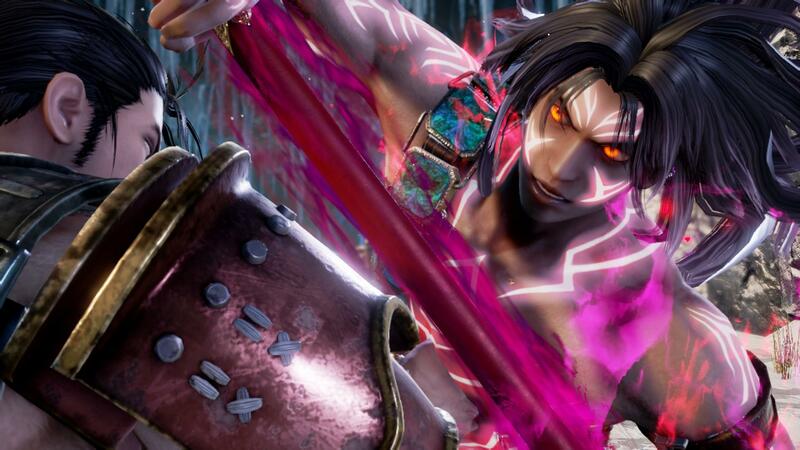 The SoulCalibur franchise has had a rather long and, generally excellent, series of games spread throughout its nearly two decade long run. 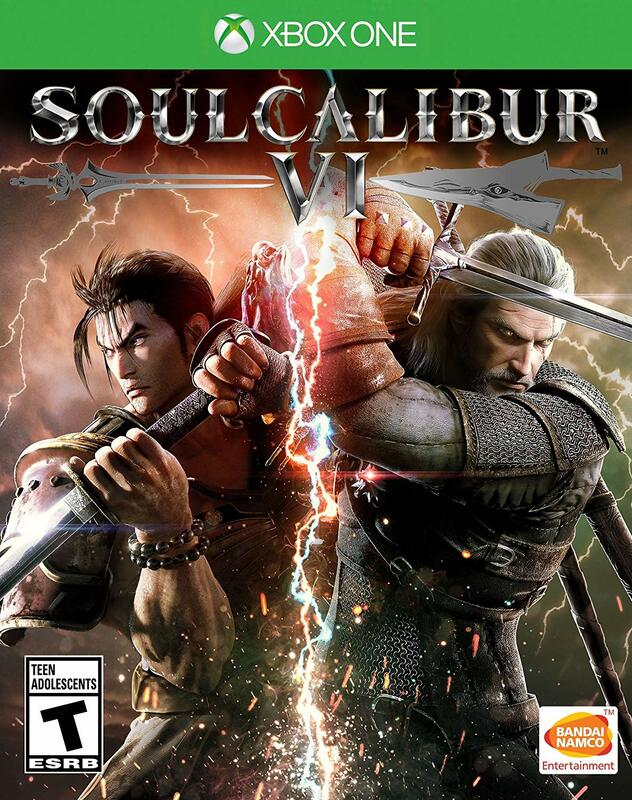 With the release of SoulCalibur V, despite being a more than solid title on its own, being a rather divisive title for the fanbase, it has been nearly six years since a mainline title in the series was released. Now on a new generation of consoles it is time for a tale of souls and swords to be retold once again in SoulCalibur VI. SoulCalibur VI is more than willing to make one of its core slogans a part of the game’s storyline once again as the developers have made sure that this is a story that is being retold from the beginning, giving new details for longtime fans and a place for newcomers to jump in without fear. That is because the story modes in SoulCalibur VI are split between the Libra of Souls mode and the Soul Chronicle mode. Libra of Souls feels like a return to form from SoulCalibur III‘s Chronicles of the Sword mode as players create a custom character of their very own and travel through an incredibly lengthy and wordy story mode where they take on the role of “The Conduit.” This journey takes the player (who can be customized and swap weapon styles at any time between fights) all across Asia and Europe as they travel through the land taking on various opponents while leveling up, purchasing weaponry to gain better stats and food to gain advantages in battle, and exploring the map to find new missions that are set outside of the core story path. Many of the battles you take part in in this mode also feature unique circumstances such as having an incredibly slippery stage, only allowing certain moves to be effective, and more to keep things from ever feeling stale. 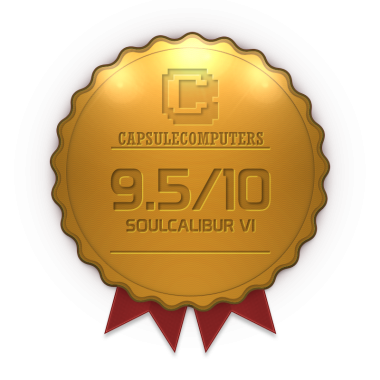 Thanks to the leveling system Libra of Souls can feel a bit challenging at times but rarely do missions disappear permanently, giving players a chance to return to see a side story they may have been too weak to complete at first. It is also nice to note that while the presentation of this story mode is a bit on the blander side of things, the actual story itself can be rather engrossing especially since there are various choices that you can make throughout the story that will affect your character’s alignment, potentially locking them out of certain paths if they happen to be too good or too evil. The Soul Chronicle mode is the actual original story of the game as it follows the main events from the series and the journey of each of the fighters as they find themselves intertwined and fighting to either claim or destroy Soul Edge. This mode generally replaces the standard arcade experience where players would usually experience a character’s specific stoyline as it instead gives players the option to select a character and experience their own storyline as it takes place outside or alongside the main game, giving players the best way possible to pick and choose how they want to experience the story while also tying most of the characters, even Geralt, together rather well. Outside of the two story modes on offer players are also given a standard array of other gameplay modes to spend their time with. This includes a straightforward arcade mode that can reward players with in-game points that can unlock special cosmetic customization pieces, a versus mode to play against a local friend or against the AI, training to test your skills in a rather simplistic mode, and of course online multiplayer. The online combat works quite well with players being able to easily find matches both in casual or ranked modes with my battles online featuring very smooth connections without too much wait time between battles. Of course the game also allows players to train or take part in simple AI fights while waiting for a match as well. Once you sink yourself into a game mode you’ll find that while SoulCalibur VI may only feature twenty characters at launch, each one is incredibly unique feeling with plenty of fan favorites returning in all of their glory. 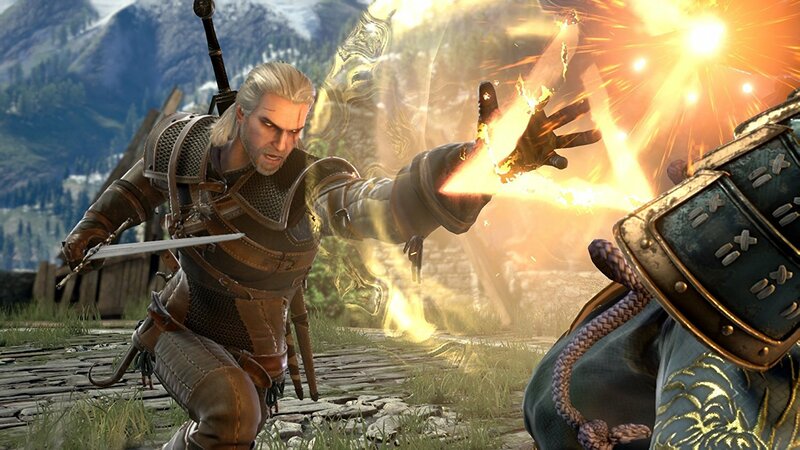 This includes the likes of Talim, Ivy, Maxi, Kilik, and many more including the guest character Geralt of Rivia who fits in incredibly well as his sword techniques and abilities to use rune spells make him a great match for this series. 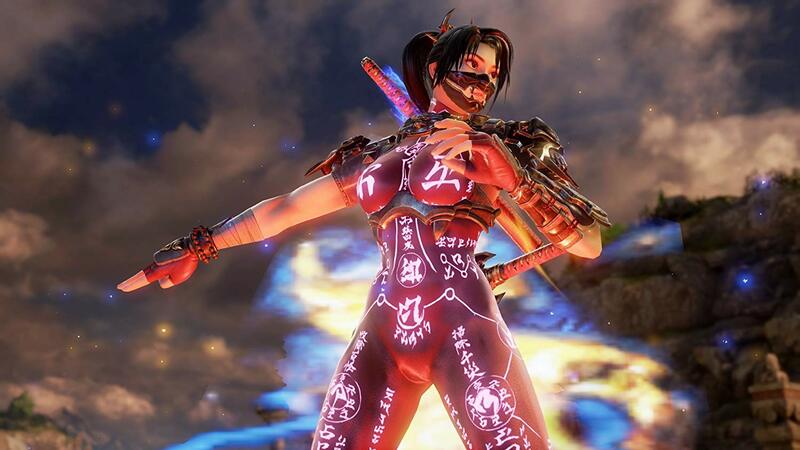 Of course if you feel like adding your own personal touch to the game then that option is completely viable as well as the character creation system in SoulCalibur VI is as robust as it has ever been. While the initial clothing options may appear to be a bit limited the amount of actual customization players have to work with can be outstanding when given enough time. Players begin by selecting a race ranging from human to fantasy versions of beastmen, elves, winged beings, lizardmen, skeletons, and much more and can then go as wild as they want with the customization options and boy things have gotten quite out of hand in this regard with the types of characters that have already been created. Their fighter can then be given a move set that matches one of the characters from the main roster and adjusted at any time. SoulCalibur VI’s actual fighting mechanics feel as smooth and easy to pick up and play as ever before. While this game isn’t incredibly difficult to learn making it a welcoming game for newcomers to test their skills there are still plenty of different mechanics at play for players to learn. Once again ring outs can play a major role in some of the more difficult battles as getting knocked out of the ring instantly counts as a loss, breaking apart an opponent’s armor/clothing is once again a possibility, and there are a couple of newer mechanics to learn as well. This includes the use of a Soul Charge gauge that can be expended to either perform a powerful special move or a temporary buff that increases a character’s stats and allows for other techniques to be used. Another happens to be the new Reversal Edge mode that allows the player to absorb a couple of hits and deal damage, placing fighters into a duel style mode where a single button prompt determines how they will attack. This includes vertical and horizontal attacks, kicks, dodges, and even blocks with the first strike dealing damage allowing for a potential reversal of fortune in some fights. Unfortunately while nearly every aspect of the fighting system and character creation make for an appealing gameplay experience, there is one thing that is a prominent drawback and that happens to be the lengthy load times. Nearly every match takes a rather lengthy, by fighting game standards, time to get started. In fact some battles in the Libra of Souls mode last less time than the actual time it takes to load into such a battle. Online battles may not lag as mentioned earlier but if both fighters are using custom characters the loading sequences tend to be quite unforgivable so be prepared for that. Longtime fans will be happy to know that all of the returning fan favorites from the series feature their classic outfits without any worrying modifications to the looks that fans have come to know and love. These character models are lovingly recreated and look outstanding on current technology and thanks to the amount of customization available in the character creator there are plenty of different oddities to see online. The stage designs are incredible looking with quite a lot of variety here though, given the nature of the ring out system, many are a bit small in size. It is rather unfortunate that despite how intriguing and how much of a time sink the Libra of Souls game mode is that there is no actual voice work for this mode, making it a bit of a bore at times due to poor presentation. Outside of this mode however players will find the game features great sounding voice work for all of its characters and the great sound of the Narrator leading into every battle. The background music is also quite stellar with plenty of tracks designed to fit every stage. 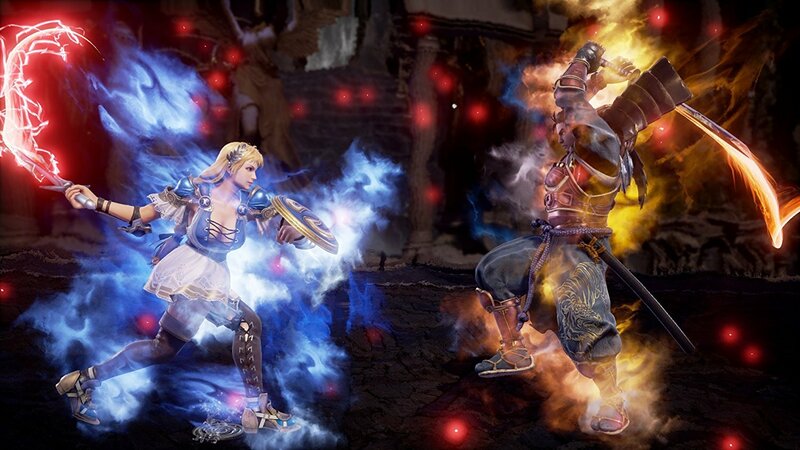 While it may have taken longer than usual for a new SoulCalibur title to be released to fighting game fans it is clear that SoulCalibur VI is a clear example of how great a fighting game can be when given plenty of extra attention. With a solid and lengthy pair of story modes and brand new gameplay mechanics fitting in excellently with returning systems fans of the franchise will be delighted with what they have here. There may be some faults here and there and the load times can be rough but those looking for a unique and delightful fighting game need look no further than SoulCalibur VI. SoulCalibur VI may have a couple of rough spots but shines as an example of a great fighting game with plenty of love given to nearly every detail.